Myself and Roger Perkins have received funding to make a bicycle sculpture for the Oxford Big Green Day Out. 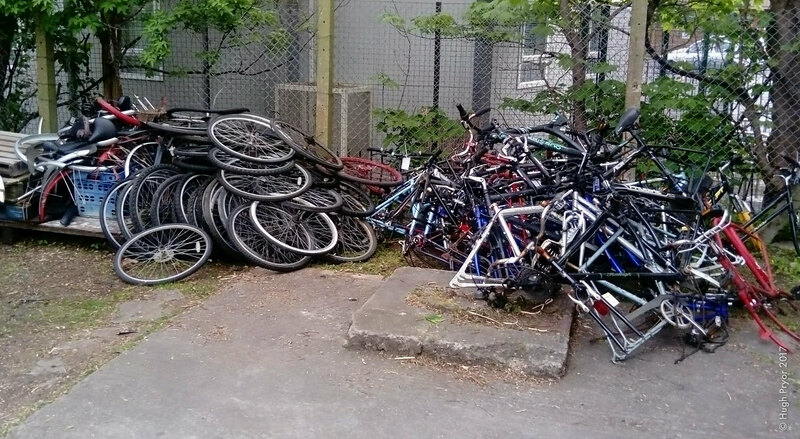 We received a collection of rusty and sometimes mangled abandoned bicycles to get started, as well as contributions from friends, local bike shops and businesses. Above is the documentation of the progress. Oxford’s Big Green Day Out is going to be a fantastic, free public event on Broad Street in the centre of Oxford taking place on June 10th where the bicycle sculpture will be installed. The sculpture will also be going on to Tandem Festival in the Cotswold village of Ramsden between 16th and 18th June.